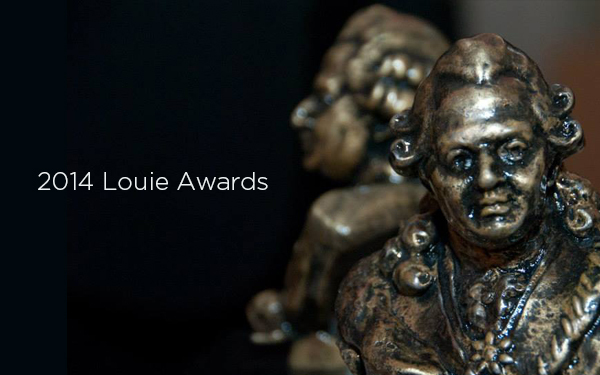 It’s that time of year again, when we humbly submit our blood, sweat and tears to the Louie Awards—Louisville’s Oscars of advertising—and hope for the best. This year, we submitted 13 pieces and were awarded for four—plus an unexpected Voter’s Choice Award. That’s a pretty good batting average if you ask us! We took home three golds, one silver, one bronze, pride for our team and recognition from our peers. Take a look at our award-winning work! OraStrip® QuickCheck Canine is the first diagnostic test used to detect active periodontal disease that veterinarians can’t see during a visual exam. The test strip – which is found exclusively in veterinary practices – faces multiple marketing challenges, including consumer education about a disease many are unaware of. To help tackle this issue, OraStrip’s “My Dog’s Smile” Instagram account was launched to celebrate healthy smiles and occasionally encourage dialogue around pet oral health. 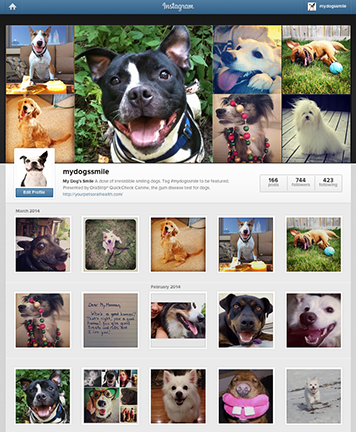 It features a feed of the best dog photos tagged #MyDogsSmile. The photos, as well OraStrip’s own, are shared with the occasional dogs facts, contests, OraStrip Twitter chat announcements and soft messages about the importance of healthy pet oral hygiene. Labsco, a leading distributor for clinical laboratory products, asked us for materials to rally their sales representatives. 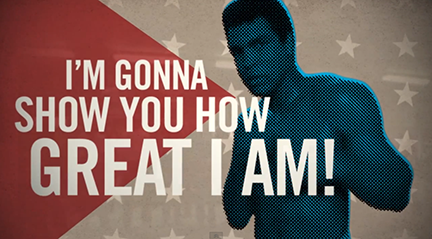 We used our in-house audio and video production skills to tell “The Greatest” Cinderella story of our time. 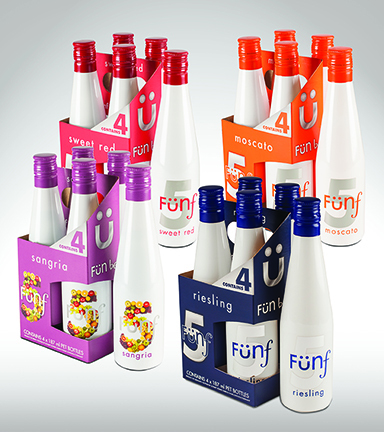 Fünf Wines expanded their popular lineup into 187ml PET plastic bottle 4-packs. So we created bright, colorful packaging that was recognizable to their current customers, intriguing to other millennial wine consumers and perfect for anyone looking for a little fün on the rün. Little German already has a personality all his own. 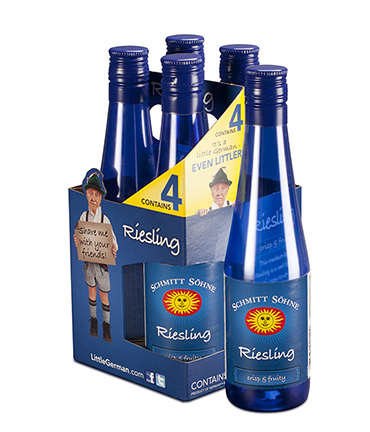 So when Schmitt Sohne introduced the 187ml PET plastic bottle 4-packs, we wanted to keep our favorite mascot front and center. That’s why our packaging design combines the blue bottle that our customers recognize and a portable carrier featuring wise words from our little friend. Congratulations again Current 360! Always nice to be acknowledged by your peers, the best compliment there is! Also nice to have shiny new trophies to squeeze onto your awards shelf. Besides “nailing it” for the clients, you might also start nailing some more shelves up for the awards yet to come! So nice to see Ora-strips was an award winner.